Pakistan's relations with two of its neighbours - India and Afghanistan - are strained, and a third border, with Iran, marks the Sunni-Shia divide within Islam. Domestic social services are in decline. Governance is widely conceded to be poor at both the national and provincial level. Many extremist groups have found shelter in Pakistan. Some fight the military, others have colluded with it. Over the past five years, Pakistan ranks second (only to Iraq) in the incidence of mass-casualty deaths due to sectarian and politically-inspired domestic violence. Amidst these indicators of national decline - and in the face of concerted efforts by the US and other nations to prevent Pakistan from crossing key production thresholds -- Pakistan now possesses a considerable and growing nuclear arsenal, which is publicly estimated to include perhaps 90-110 weapons. It is hard to identify another governmental or military enterprise in contemporary Pakistan that has been more successful in identifying goals and implementing them than Pakistan's nuclear weapon-related programmes. Most Pakistanis who bemoan the problems they face in everyday life feel pride in the accomplishments of testing and producing nuclear weapons. They begrudge governmental corruption and incompetence, but not money spent on the Bomb. Pakistan's serious pursuit of nuclear weapons began with Zulfikar Ali Bhutto, who famously declared in 1965 -- well before taking charge of the country and the programme -- that his compatriots would "eat grass" and suffer other deprivations in order to possess nuclear weapons. This priority became more focussed after the 1971 war with India that resulted in Pakistan's grave humiliation, vivisection, and Bhutto's ascendancy as President, and subsequently, as Prime Minister. Ghulam Ishaq Khan, a powerful political figure who became President of Pakistan from 1988 to 1993, provided continuity of oversight over the nuclear programme after Bhutto's demise and during a period of revolving Prime Ministers. As with other nuclear programmes in other countries, "first generation" scientists in defense establishments also played key roles in nuclear development programmes, most notably Munir Khan and Samar Mubarakmand of Pakistan's Atomic Energy Commission and A.Q. Khan of the Khan Research Laboratories. The transfer of Pakistan's nuclear weapon-related programmes to military control was realised in stages, beginning with the imprisonment in 1977 and subsequent execution of Zulfikar Ali Bhutto by General Zia-ul-Haq. Military supremacy in all military-related nuclear matters was reaffirmed after Ghulam Ishaq Khan's forced resignation from the Presidency in 1993, and was consolidated further when, in February, 2000, then-Chief Executive and Chief of Army Staff, Gen. Pervez Musharraf, implemented plans for a directorate to focus on operational issues -- the Strategic Plans Division (SPD) at Joint Staff Headquarters -- that the recently deposed Prime Minister Nawaz Sharif had dawdled over. While high-end Pakistani nuclear strike packages probably include some military targets, the standard way for new nuclear-weapon states to define minimal, credible deterrence is by means of counter-value targeting, i.e., being able to destroy an adversary's large metropolitan areas. There are ten cities in India with populations over three million: Mumbai, Delhi, Bangalore, Hyderabad, Ahmedabad, Chennai, Kolkata, Surat, Pune, and Jaipur. Mumbai is a centre of commerce, culture, and nuclear infrastructure. New Delhi is the seat of government. Chennai and Kolkata are significant regional hubs. Bangalore and Hyderabad represent the new, "rising" India, fueling India's economic growth. Placing these cities, some of which contain very significant Muslim populations, at risk is one way to check perceived Indian designs on Pakistan's territorial integrity. Indian leaders and hawkish analysts have expressed the view that their country could survive a nuclear war, whereas Pakistan would not. As former Defence Minister George Fernandes said in a 2002 interview, "[I]f he should finally take that kind of step, perhaps out of desperation, he should realise that India can survive a nuclear attack, but Pakistan cannot." Army Chief S. Padmanabhan echoed these sentiments when he reportedly said that "India would severely punish any state that is 'mad enough to use nuclear weapons against any of our assets.' Padmanabhan added, 'the perpetrator shall be so severely punished that his very existence will be in doubt. We are ready for a second strike.'" Likewise, hawkish analyst Bharat Karnad wrote, "The problem here is not one of preventing nuclear war, but with believing that Pakistan can annihilate India, which is not possible, even as the reverse is eminently true." These assertions have not gone unnoticed by those who set Pakistan's requirements for nuclear weapons. It would be out of character for Pakistan's military leadership to accept the survival of India and the death of Pakistan in a nuclear war. Thus, in this conjectural analysis, Rawalpindi is likely to pursue a "victory denial" strategy in the event of a complete breakdown in deterrence. The growth of Pakistan's nuclear stockpile is commensurate with a targeting objective to exact overwhelming damage sufficient to prevent India from recovering as a functioning society. Denying India "victory" in a nuclear war would constitute the high end of Pakistan's targeting objectives. These might include, in addition to India's largest cities, its leadership, key industrial facilities, ports, nuclear power plants, dams, and other critical infrastructure that are not necessarily situated in large metropolitan areas. A targeting doctrine to deny India victory in a nuclear slugfest would be an unusual and exacting way to define minimal, credible deterrence, but it could well explain Pakistan's production capacity for nuclear weapons and the prospective growth of its stockpile. Peter R. Lavoy has argued that Pakistan's nuclear deterrence strategy is predicated on a commitment to "escalation dominance." During the Cold War, hawkish US strategists held the view that victory was still possible in nuclear exchanges, even at great cost. Failing that, an adversary's victory could still be denied - and deterrence reaffirmed - by means of expansive nuclear inventories and targeting capabilities. Do the managers of Pakistan's nuclear deterrent believe that they can fight and win a nuclear war with India? In their foundational essay, Agha Shahi, Zulfiqar Ali Khan and Abdul Sattar wrote that Pakistan was "not so unrealistic as to entertain" thoughts of the "use of nuclear weapons for war-fighting or seek to develop capability for preemptive attack." 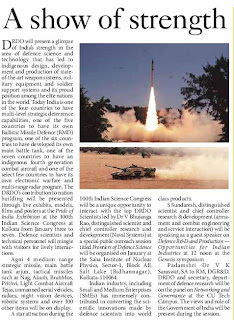 These authors argue that, "India is too large and too well armed to be vulnerable to a disabling strike." This line of reasoning is reaffirmed as long as India's strategic assets grow, are properly diversified, become more operationalised for deterrence purposes, and if New Delhi becomes more serious about command and control arrangements. It would not require Herculean efforts for Indian leaders to dissuade Rawalpindi that a Pakistani victory in the event of a nuclear war is not achievable. 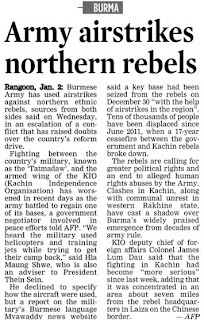 A strong case can be made, however, that New Delhi has been lax in assuring retaliatory capabilities and proper force management. While the achievement of victory by Pakistan in a nuclear war with India seems far-fetched, the denial of an Indian victory is another matter. The build-up of Pakistan's nuclear forces is entirely consistent with this objective. Pakistan's nuclear requirements are set by very few military officers and one retired officer, Lt. General Khalid Kidwai, with very little civilian oversight or ability to question military requirements. 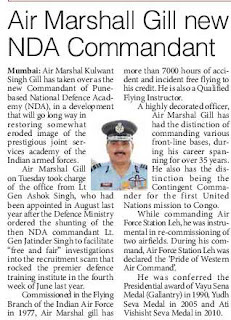 After taking charge of the SPD in 2000, Gen. Kidwai was promoted to Lt. General in October, 2001, and then received an extension in service in 2004 to stay at its helm - a highly unusual personnel action. 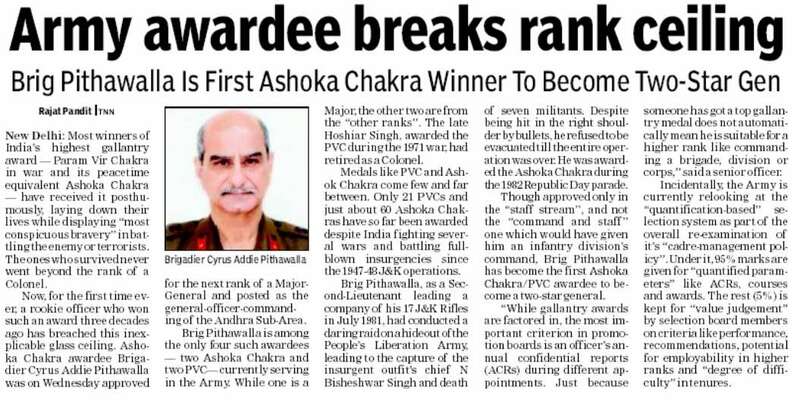 Gen. Kidwai faced retirement in 2005 because his time on active duty would extend beyond those who were about to out-rank him. His boss, Chief of Army Staff (and President of Pakistan) Pervez Musharraf decided on his retirement, while keeping him in place at the SPD. While many retired military officers have been given plum assignments overseeing civilian institutions in Pakistan, the appointment of a retired military officer to be in charge of a most sensitive joint staff assignment is unprecedented. Gen. Musharraf's decision survived his banishment from Pakistan. Gen. Kidwai's extended tenure at the SPD has meant that his views regarding Pakistan's nuclear requirements will be very hard to overrule. Sitting atop Pakistan's National Command Authority, which was initially promulgated as an administrative regulation at the outset of Gen. Musharraf's rule, and then codified into an ordinance nearing the end of his tenure, is the Head of Government. With Musharraf's exit, the Head of Government became a civilian in the person of President, Asif Ali Zardari. In November, 2009, President Zardari revised this ordnance, placing the Prime Minister, then Yusuf Reza Gilani, at the top of the NCA. This passing of the baton was orchestrated in the context of clarifying the transition from a Presidential- to a Prime Ministerial-led government. Under the Musharraf set-up, the Prime Minister served as Vice Chairman of the NCA. Now it appears that the Vice Chairmanship is vacant. Two subsidiary bodies of the NCA - an Employment Control Committee and a Development Control Committee -- have Deputy Chairmen. The Deputy Chairman of the all-important Employment Control Committee is the Foreign Minister, a position currently held by Hina Rabbani Khar. The Deputy Chairman of the Development Control Committee is the Chairman of the Joint Chiefs of Staff Committee. Three civilian Cabinet Ministers also serve on the Employment Control Committee: the Minister for Defence; the Minister for Interior, and the Minister for Finance. According to an interview Gen. Kidwai gave in 2002, when Gen. Musharraf sat atop the NCA, "practically all (99%) of the nuclear decisions pertain[ed] to the Head of Government." One can certainly envision that when the Army Chief of Staff sat atop the NCA, he held the ultimate authority in determining employment and developmental decisions relating to nuclear weapons. It would strain credulity to assert that this remains the case under a civilian Head of Government - Prime Minister Gilani, his successor, Raja Pervaiz Ashraf, and under the Deputy Chairmanship of Foreign Minister Khar. 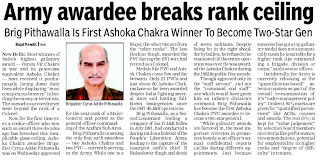 While notional authority now resides in the office of the Prime Minister, and while Cabinet Ministers on the NCA are involved in these decisions, real authority lies with the Chief of Army Staff, the Chairman of the Joint Chiefs of Staff, Gen. Kidwai, and a few others, some of whom may not be involved in decision-making under extreme duress. Michael Krepon is the co-founder of the Stimson Center and a Diplomat Scholar at the University of Virginia. He is the author of "Better Safe than Sorry: The Ironies of Living with the Bomb"
A secretive Army intelligence unit, already under suspicion for allegedly using off-air phone interceptor to listen to phone conversations of important people, faces fresh charges that could be damaging. 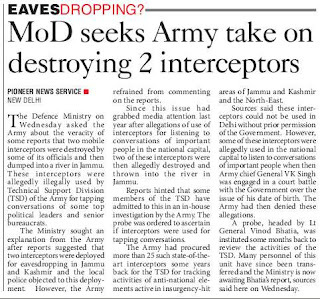 The Ministry of Defence is expected to seek details of an internal Army probe that has established that two of the such off-air phone interceptors were destroyed and dumped in a river in Jammu and Kashmir last year. Allegations had surfaced last year that the Technical Support Division (TSD), set up by the then Army Chief Gen VK Singh, had misused off-air phone interceptors meant for border surveillance to keep tabs on the conversation on important people in the national capital. It was alleged that the TSD had deployed interceptors to tap mobile phones of important officials. 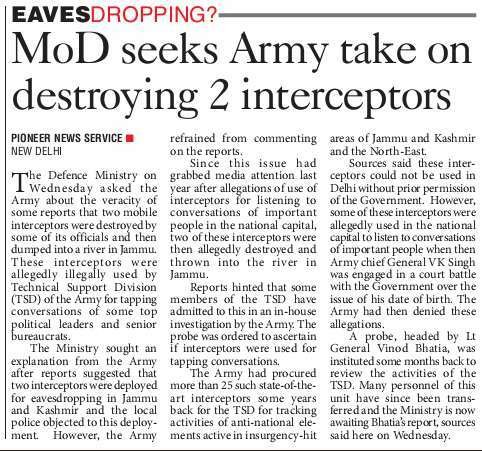 An internal Army probe has said that two of the interceptors were destroyed after the controversy erupted last year. 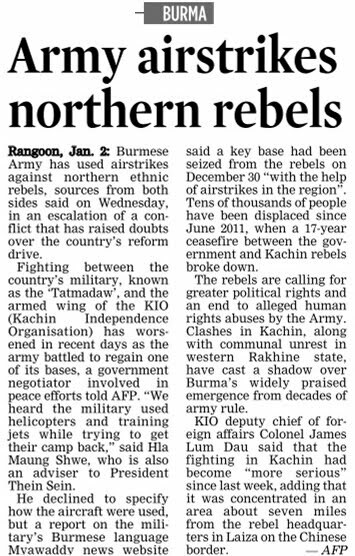 The Army authorities today refrained from commenting on the matter. Indications are that Army internal probe talks about the illegal interceptions and the subsequent destruction and dumping of the instruments in the river. The inquiry is also looking into other activities of the military intelligence like the sudden escalation in the use of funds. The Defence Secretary refused to give approval to the military intelligence (MI) budget. 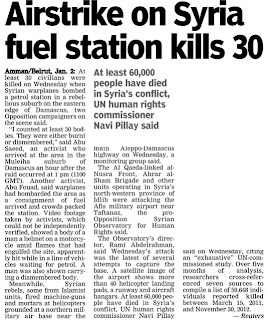 The Tribune had first reported the matter on July 18, 2012. NEW DELHI — The Indian Defence Ministry has begun a global search to procure unspecified numbers of heavy trucks on which to mount missiles following a ban on acquiring vehicles from Bharat Earth Movers Ltd. (BEML), which has become involved in a bribery scandal. The current requirement for the Tatra trucks is estimated to be about 1,300 vehicles, mostly to carry missile systems being produced by the Defence Research and Development Organisation, including the Akash surface-to-air missile and the BrahMos cruise missile. The ban on procuring the Tatra trucks, which BEML makes under license from the U.K.-based Vectra Group, came in the wake of allegations made last year by the former Army chief, Gen. V.K. Singh, who said he was offered a bribe by a retired Indian Army lieutenant general to clear a file related to the procurement of more than 600 Tatra trucks. The matter then was handed over to the Central Bureau of Investigation (CBI) for investigation. After the allegations, Defence Minister A.K. Antony ordered a CBI probe to verify the charges and put all purchases of Tatra trucks on hold pending a decision on the probe. A Defence Ministry official said the Tatra trucks made by BEML meet requirements and so far 6,500 have been purchased at a cost of about $650 million. The Defence Ministry has sought clarifications from the Army on reports that equipment allegedly used by former chief Gen VK Singh to snoop on some government functionaries may have been destroyed. The ministry asked the Army to clarify the reports suggesting that off-the-air-interceptors with the Technical Support Division set up in 2010 may have been destroyed, ministry sources said in New Delhi. 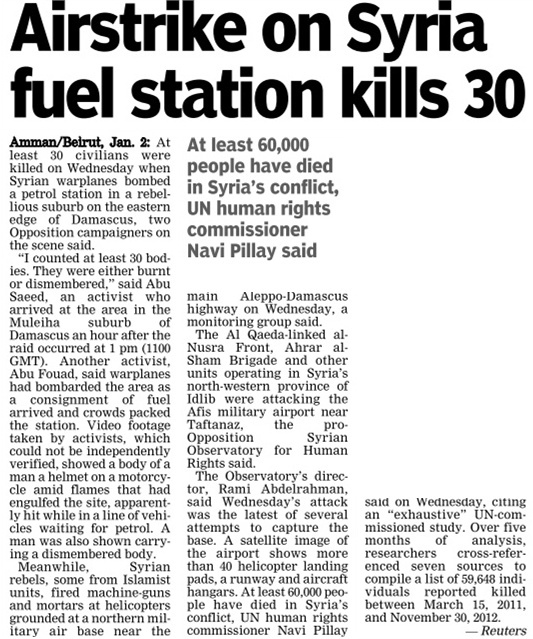 The Army Headquarters maintained silence over the reports. 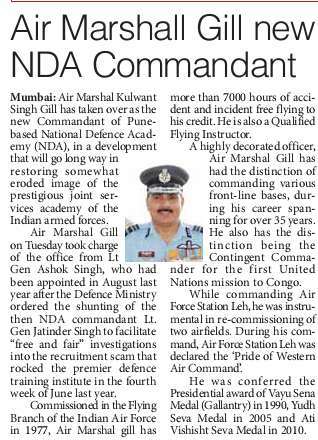 The off-the-air interceptors allegedly with the Army had come to light in 2012 when it was alleged that they were being used to snoop into conversations of Defence Ministry officials at the height of age controversy involving Gen VK Singh. The Army had earlier said it does not possess any such equipment and it is used by the Defence Intelligence Agency, which is directly under the command of the ministry. 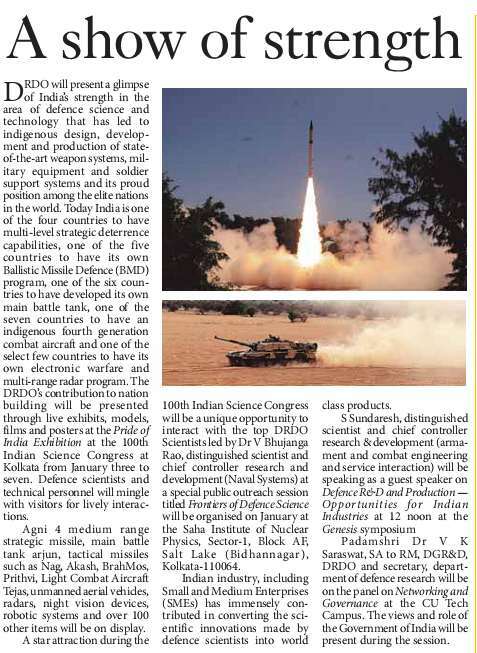 The report about the destruction of such equipment has come at a time when the Ministry of Home Affairs has sought details from the army about any such interceptors with it. The government was carrying out an audit of off-air interception equipment sold in India in the past decade, their deployment and ownership. In this course, it had asked all relevant government agencies for details of the equipment they hold. Soon after taking over, Army Chief Gen Bikram Singh had ordered a Board of Officers under Director General Military Operations Lt Gen Vinod Bhatia to initiate the process of shutting down the secret spy unit.